China for Chuseok! | Kimchi with Eish! 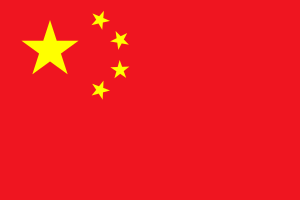 Tomorrow I am off to China for a week. Absolutely wonderful! I will be trekking the Wall, Visiting Mao Tse Tung at Tienanmen square, walking the streets of old china, eat chinese food in China and buy something made in China IN CHINA! I can’t wait. China is one of those great mystical places and even though it’s flooded by tourists it’s a must on everybody’s list. I mean who wouldn’t want to go to the most populated country in the world. Also it won’t be long before China overtakes the US economically. China just recently became the biggest contributor to greenhouse gasses, placing the US second. All in all a great adventure awaits. Now I just returned from Thailand a month ago but the reason I am so fortunate to get another week off work is because of a little thing called Chuseok. Many people roughly translate it as Korean thanksgiving. I do not like that term and many of my co-teachers disagree that it is thanksgiving as the holiday differs a lot from the ones in the US and Canada. In South Africa we so not have thanksgiving. 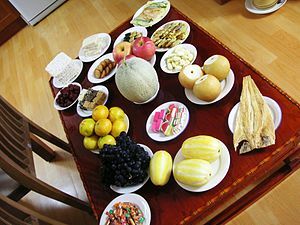 Chuseok means Autumn harvest and takes place on the 15th day of the 8th month on the Lunar calendar. Thus it always falls on a different date on the Gregorian calendar. This year it will be on Wednesday the 22 of September and the day before and after Chuseok are national holidays in Korea. Many schools have decided to make this a little mini holiday and will be closed either the monday before chuseok, the friday after chuseok or both. I am one of the few lucky ones that got both days thus meaning a nice nine-day holiday awaits. During Chuseok Koreans travel to their hometowns and spend time with their relatives. They visit their grandparent’s graves and have a feast. It’s a time to pay respect to your family. I will not be in Korea during Chuseok but from what I’ve heard it’s better that way as everything will be closed and booked. China here I come and cheers from Kimchiland!